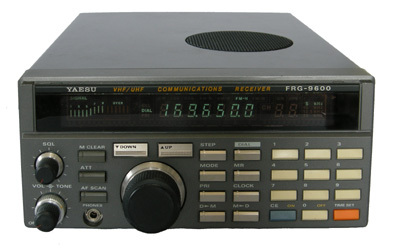 The Yaesu FRG-9600 is an elderly receiver/scanner for the frequency range 60 - 900 MHz. 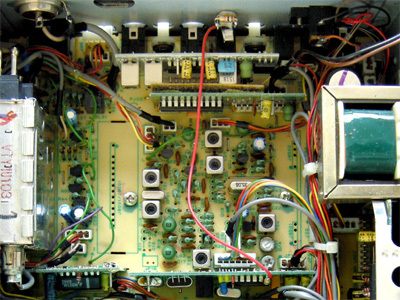 Thanks to its spacious layout, it is quite easy to fit it with a discriminator output. The receiver IC is an MC3357. This IC can be found on a vertically mounted circuit board. Pin 9 contains the unfiltered audio. 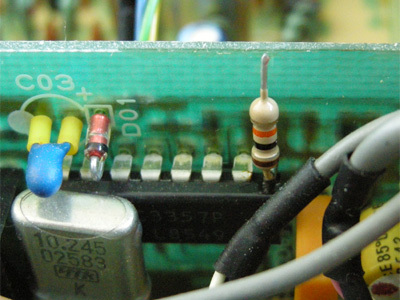 A 10 k resistor is soldered to pin 9 of the receiver IC. A pice of insulated wire is connected to the resistor's other lead. A 3.5 mm chassis socket can be mounted in the metal backplane of the receiver. A separate ground connection is not necessary. Connect the wire from the 10 k resistor to the appropriate solder lug of the socket. The output voltage of the MC3357 appeared to be quite high (about 2 V peak-peak). 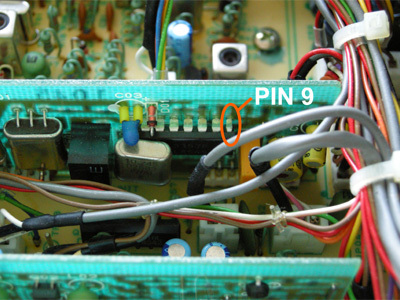 By soldering a 10 k resistor over the contacts of the chassis socket, a 1:2 voltage divider is created to attenuate the output signal and protect the line- or microphone input of a connected PC.